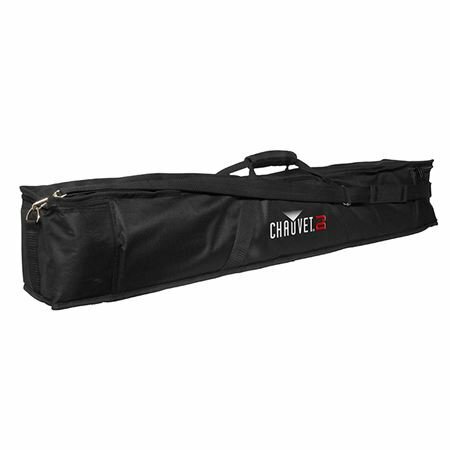 Shop Chauvet DJ CHS60 Lighting Carry Bag from AMS and enjoy Fast & Free Shipping. 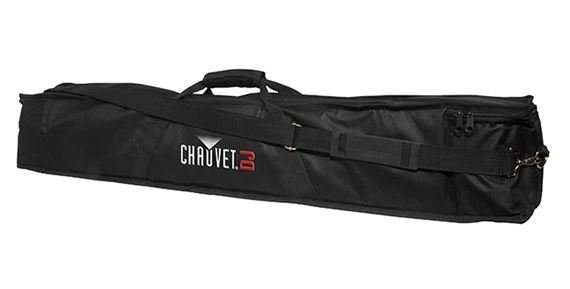 The Chauvet VIP Gear Bag is designed to protect two, 1 meter strip lights. This soft and practical gig bag makes it possible to transport your LED strip lights with ease and access each fixture quickly and easily to save time setting up and tearing down. It's also is designed with an internal divider that separates the bag into two padded compartments for enhanced protection of your lights. The Chauvet VIP Gear Bag for 2 LED Strip Lights includes a convenient handle and shoulder strap offer multiple transportation options to suit different needs. This bag is worth the money but needs improvements. The reason I gave it one star less is because I bought this for the Colorband BT T3 and it somewhat fits but a bit too tight. Chauvet could have made it tiny bit wider for the colorband bars to fit a bit better. Chauvet could have also increased the thickness of the padding too a bit to protect the Colorband lights a bit better. Overall, I would recommend this bag, its not bad but as I said above it needs improvements. 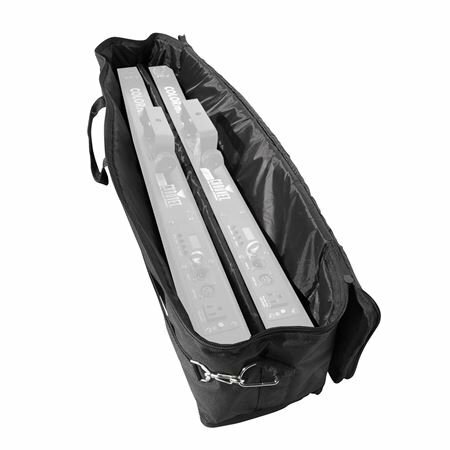 This is an excellent investment to transport and protect your Chauvet light bars. I use this bag for my Colorband Pix M stage lights. Should work well for light bars of similar size. The inside is padded and there are large squares padded cushions on each end. The zipper is well made also. 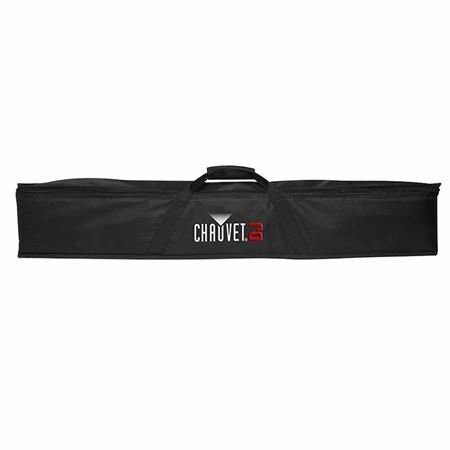 I recently bought this bag for my Chauvet Colorails. For the money, you can't beat it! The bag is durable and has padding. However, it is not tough enough to accidentally drop. It's a great way to carry and protect your lights from scratches. These bags look professional too.